Bus Seat Advertising is a campaign banner place on the back of a passenger seat. It speaks directly to passengers with long and undivided attention. It delivers your message directly to strategic audience in an atmosphere of comfort devoid of distraction. Brand gain a convincing mindshare with unadulterated ad displays at eye-level. It is a perfect campaign-support that extends your brand’s visibility and buzz to more areas. With an average of 40 minutes or more for a full trip, brands has undivided attention of passengers to connect and engage them with Call-to-Action ad messages. Your campaign reaches both commuters and passengers simultaneously. Longer reach and longer viewing time means longer mileage for your advertising spend. 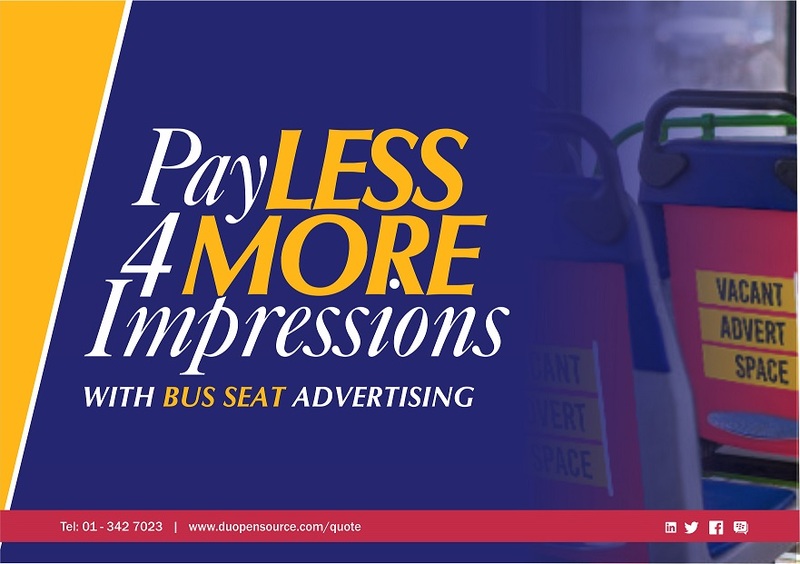 Bus seat advertising is offered for free to clients running transit campaign with DU opensource.